We love all of our residents and provide them with only the best care. For more photos, activities, events, celebrations, updates and much more, please visit our Facebook page. Feel free to leave a comment on our wall. 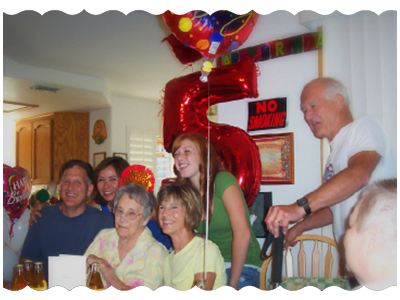 Family owned and operated for more than 15 years, Montclair Villa is that nice cozy place where “home” becomes more than a simple word, giving our residents a sense of belonging, great happiness and fun through games and daily activities, and a warm feeling of being loved, appreciated and understood no matter what. We value each and every resident, listen and care for with excellent pride and consideration. Please see other people’s reviews about our place here. Tucked away in the hills of Rocklin, Montclair Villa is located in a safe residential community where neighbors have known each other for years, and are very friendly, quiet and respectful. More than that, we have 24 hour high quality care that is affordable and primarily focused on each member’s individual needs and preferences. Our team members are extremely caring and loving people, very dedicated and sensitive to each patient’s individual needs and preferences. The 24 hour staffing provides homemade meals and snacks. There is assistance with grooming, bathing, personal hygiene, dressing as well as assistance with medications. The facility is located near shopping centers, beauty shops, medical and dental facilities, and police and fire departments. The staff provides transportation to medical appointments or any other outings that are scheduled. Daily indoor and weekly outdoor activities are based on residents’ preferences and life style. Also, each resident is provided with their own panic alarm button that they carry with them at all times. They also have access to a well-maintained patio and colorful garden where they can plant flowers and vegetables and encouraged to get involved into spending relaxing time outside surrounded by nature. This facility is wheelchair and walker friendly. There is assistance with grooming, personal hygiene, getting dressed and medications. Daily housekeeping, laundry and maid services are provided. Cable TV, Wi-Fi, and option for private phone offered. Spacious rooms (Private and Semi-Private). We pride ourselves on the quality of our care, focused on commitment for being sensitive, kind and loving towards our elders. Our mission is to always treat them exactly as we would love to be treated at their age i.e. with respect, patience, gentleness and affection. 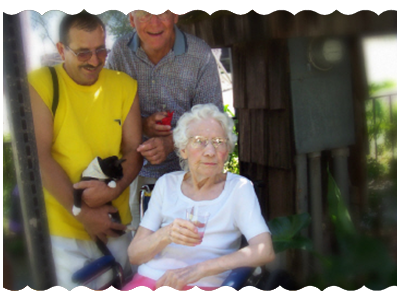 At Montclair Villa our residents are family. Come join us and let our family take care of yours!